Ever stopped to consider just how effective pre-show marketing can be? When you prepare for a show, do you chronically assume the marketing team at the trade show will deliver droves of leads right to your booth? How many times have you seen a shows attendance turn out be less than expected? While there is some safety in numbers, history has proven, quality leads are more valuable than the quantity of leads. As the navigator of your own success, it’s up to you to be proactive. 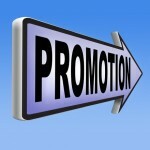 By developing and engaging in a solid pre-show marketing strategy, you will be relying less on chance! 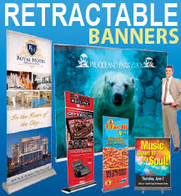 Many trade show producers can provide you with lists of VIP attendees before the show. These VIP guests might be bloggers, buyers, planners or even CEO’s. Once you find out who these VIP guests are, it’s a great idea to reach out to them in advance of the trade show.By developing some good ‘ol fashioned rapport, you create value in a relationship that might not have otherwise existed. Often lost in today’s world of electronic communication, hand-written correspondence deliver a truly unique and intimate form of communication. Try this method of communication in addition phone calls and emails. You might be surprised at whom you impress! 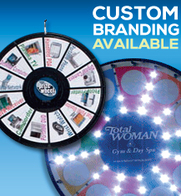 One great way to make an impression is by using trade show promotional giveaways. 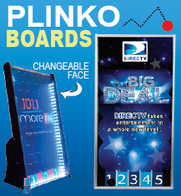 Think about items you could provide that would benefit the person while they are at the trade show. 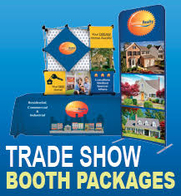 Trade show attendees collect a ton of collateral from all of the booths they visit. 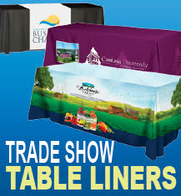 Canvas bags featuring your logo and booth number are an excellent trade show giveaway because trade show attendees desperately need a place to store all of the collateral they will be collecting. Custom labeled bottled water is also a great giveaway. Every person gets thirty! 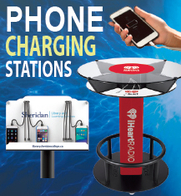 You can also send out mobile device charging cables with an invitation to charge mobile devices at your booth. 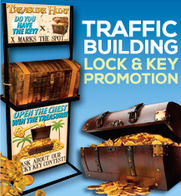 Hosting an activity at your trade show booth is important, it gives people extra reason to stop and chat with you. Money Machine Cash Cubes are exciting and eye catching but you can’t depend on just the traffic of the show to get people interested. 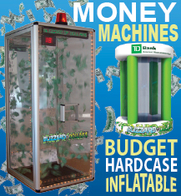 When you send out invitations before the show, consider including a special offer of “extra time” in the Money Machine Cash Cube when attendees present their invitation to you at the trade show booth. 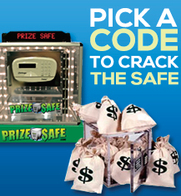 You can also offer extra prizes for bringing additional people. Remember, the more people that spend time at your booth, the more leads you capture!